A nostalgia trip through Sega video game magazines! In all my years of collecting Sega magazines, I’ve found the name of one magazine to be particularly difficult to communicate to people: Mega Machines. There isn’t anything intrinsically challenging about the magazine’s name, but I’ve lost count of the number of times I’ve asked somebody if they have any issues of Mega Machines and received a response along the lines of “yep, I’ve definitely got a few issues of that one” — only to be met with disappointment when the person produces some issues of the multi-format Mean Machines magazine. The two names do sound fairly similar, but why the consistent confusion? Well, there’s one very good reason why: Mega Machines is a relatively unknown Mega Drive magazine (that only lasted for five issues), whereas Mean Machines was at one time the king of video game magazines (commanding massive circulation figures, and a huge fan base that still exists to this day). 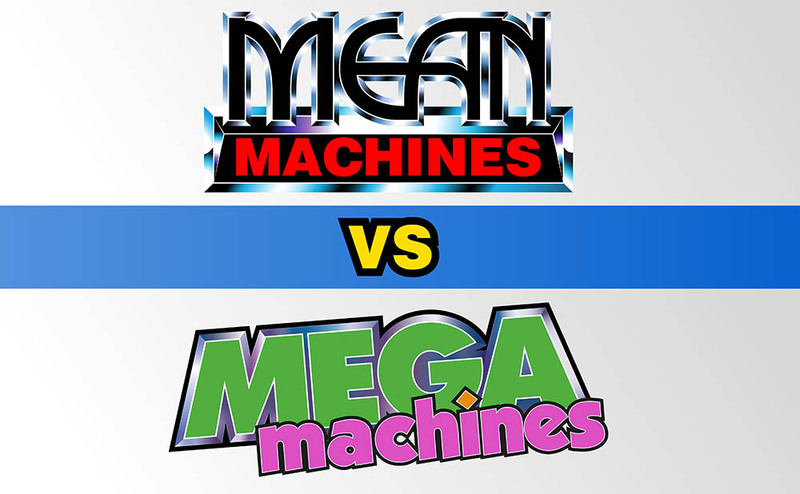 Just about anyone who was in to video games during the early 1990s will remember Mean Machines (or its successor, Mean Machines Sega). On the other hand, hardly anybody even knows that Mega Machines existed. So when someone mentions Mega Machines, I suppose it’s perfectly understandable for it to be misunderstand it as Mean Machines. Is it fair to threaten legal action over a similar-sounding name? There were different variations of the Mega Machines disclaimer, but I liked this one the best. This entry was posted in Magazine rivalries and tagged mean machines, mean machines sega, mega machines. Bookmark the permalink. Offering £100 for a video game magazine?! Ebertron on Oh my, Mystaria surprise! Tom Charnock on Oh my, Mystaria surprise!